The Korg Volca FM will take sysex files. So all those carefully programmed presets stored on your dusty Yamaha DX7 can be transferred across to the Volca FM. Currently, since testing multiple ways, we've found one piece of software that can do this, the totally free and equally brilliant Dexed. 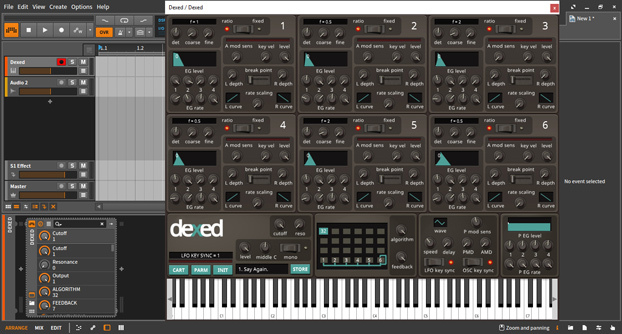 DEXED, is a FREE VST Plugin software you can find here. You will need a VST Host of some sort to run it within, such as a DAW like Ableton Live, Bitwig Studio, Logic Pro or Cubase etc. 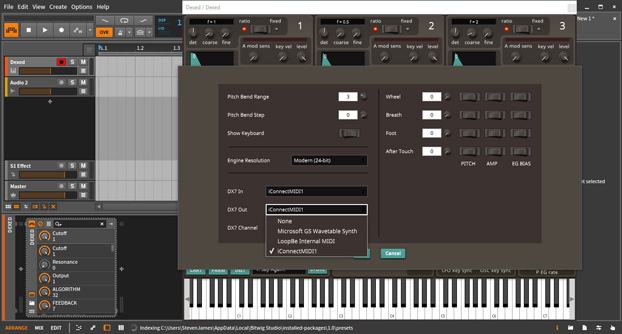 Essentially, Dexed will read any sysex files found online, open and allow you to edit their parameters, then send the files across via a midi connection straight into the Midi In of the Volca FM. On top of that, you can also edit the full 6 operators in-depth, quicker on screen building up your own patches you can then store and send to the Volca FM for hardware reproduction. If you find your patch won’t play or no sound occurs, try checking the LFO Key Sync parameter, either enabling or disabling it and resending to the Volca FM. As I found this sometimes effects the operation of the patch sent to the Volca FM.